I love to cook, don’t get me wrong. There are times when I will slave away in the kitchen over one special dish for several hours on end. But there are also many times that I either need a quick meal or snack because of scheduling issues – or I’m all cooked out and don’t want to spend any more time cooking than I have to. Here are some of my favorite, quick snacks and meals in case you need some inspiration for those times when you just don’t feel like throwing together a huge feast. Of course we start out with shakes, but trust me-it won’t stop here. 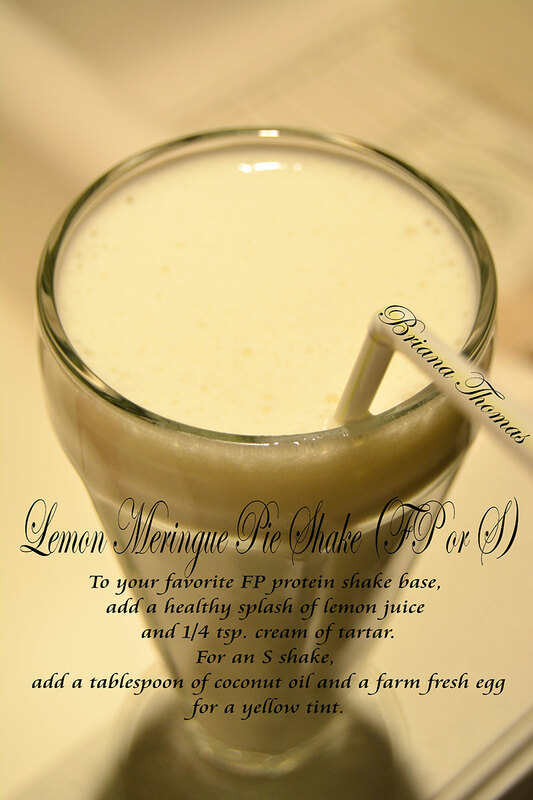 If you need a good basic shake recipe, check out this one from Gwen’s Nest (for a FP shake, leave out the cream. And of course, if you’re making one of the following recipes, leave out the extracts and chocolate in Gwen’s awesome peppermint shake that I just linked to). Or you could try this one from Dashing Dish, leaving out the last three ingredients. Mocha Cake Madness-so my cousin and I have this weird tradition. At Yoder family birthdays, it is traditional to have a mocha cake with homemade ice cream. I like to add peanut butter. Anyways, my cousin Brandon and I always smush our cake and ice cream up into one big glob. 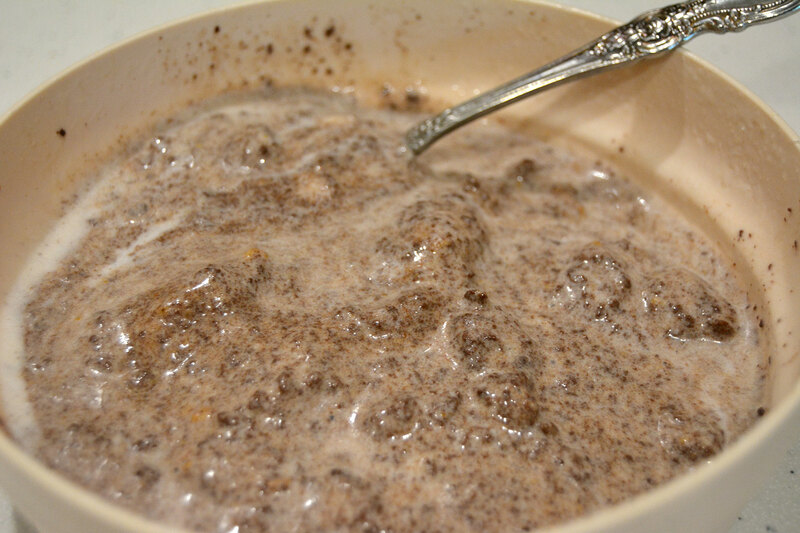 So that’s what I did for breakfast one morning (about two days after saying “no” to an amazing cake at one of said parties): a Cake in a Mug + vanilla soft-serve ice cream + natural peanut butter, all swirled together into one delicious mess. My mom grossed out, as will most of you, no doubt; but don’t knock it ’till you’ve tried it. 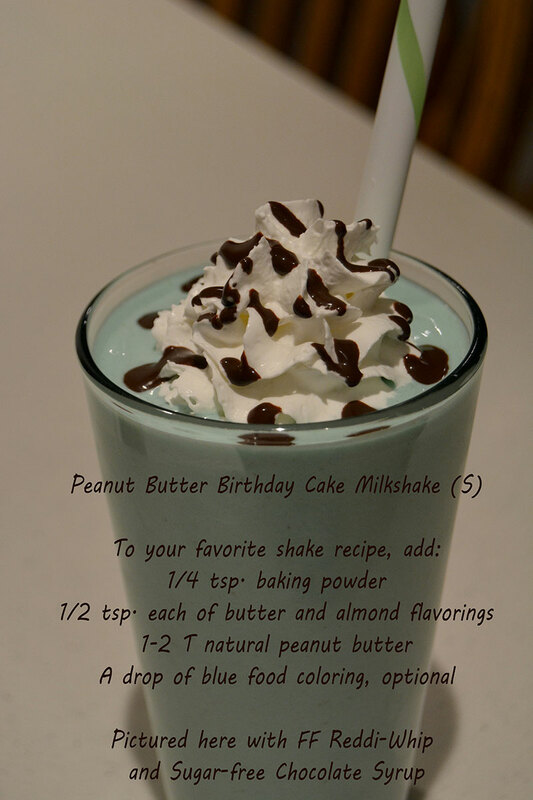 Peanut Butter Birthday Cake Milkshake (S)(pin it)-OK, so I’m sure you guys have heard about my obsession with birthday cake ice cream by now, and how I like to eat it with peanut butter. Well this shake fulfills my craving perfectly. In fact, I had three of them in two days. That tells you how good it is, because I don’t repeat recipes a lot. 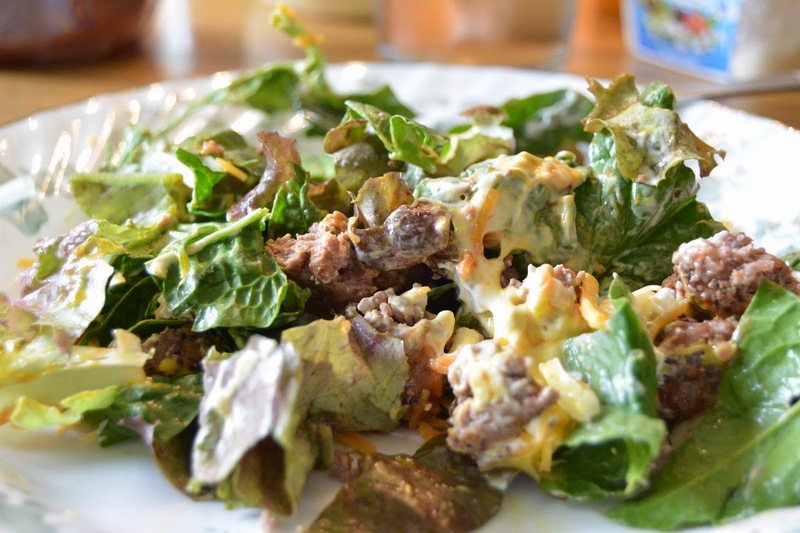 One-plate S lunch: a salad with meat and toppings – here I have a burger salad: lettuce, chopped up grilled burger, cheese, mayo, mustard, ketchup, onion. 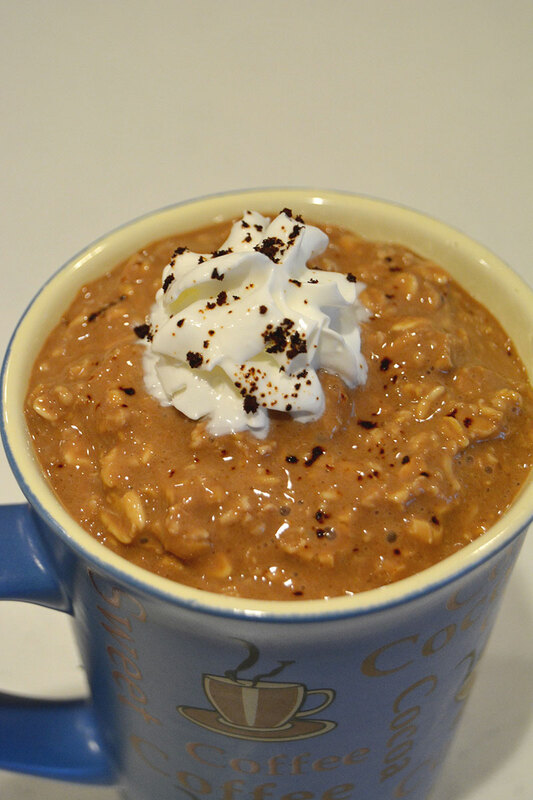 Overnight oatmeal (E) takes less than 5 minutes to put together the night before, and all you need to do in the morning is take it out of the fridge and eat it. 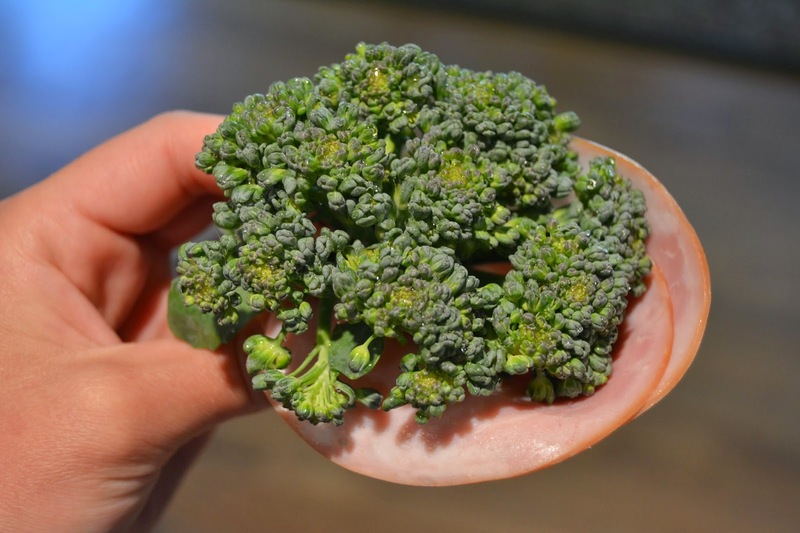 A quick FP snack: lean deli meat with fresh veggies. Dip it in a little Ranch of you like, but the snack becomes an S if you have more than 5 g of fat. 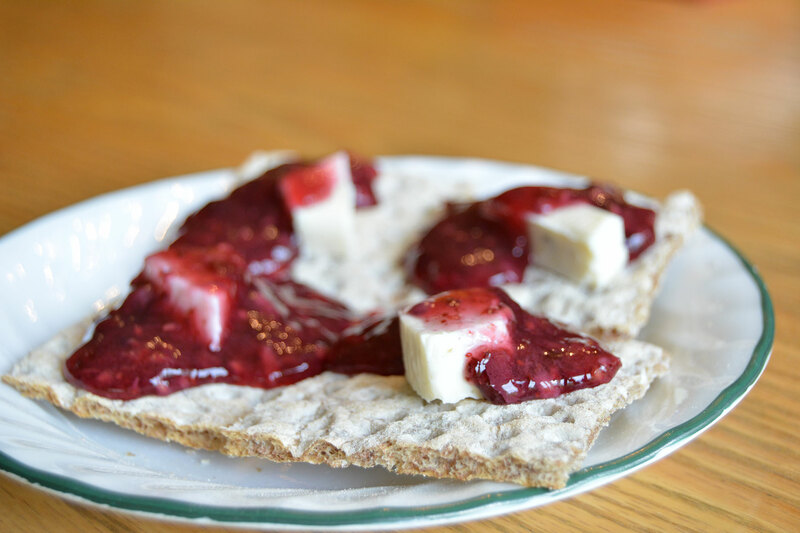 A piece of plan-approved bread, toasted, with a teaspoon of butter and some Slim Belly Jelly is a great E snack when paired with a protein source like Greek yogurt or a protein shake. 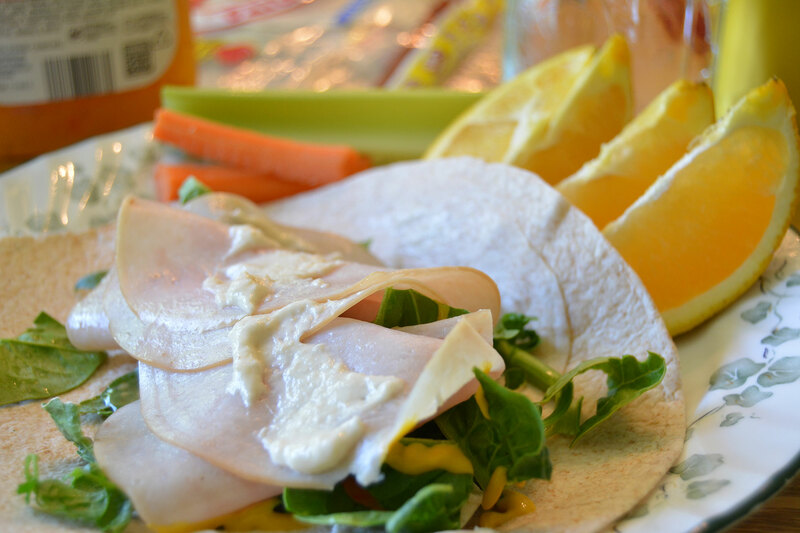 A quick E lunch: a low carb wrap with E toppings (lean meat, Light Happy Cow cheese wedge, spinach, mustard, horseradish, light Italian dressing), veggie sticks, and fruit. 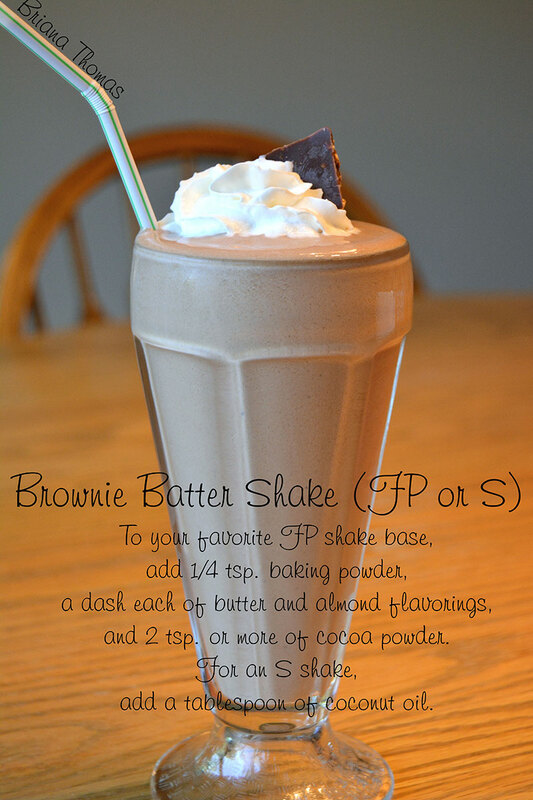 Top it off with a FP shake for dessert. This is my favorite sipper: about 4 T of ACV, stevia, 5 drops of raspberry LorAnn’s flavoring oil, sometimes some Vitamin C powder (I use Ball Fruit Fresh-you can find it at your local grocery store with the canning stuff or the gelatin), and often a squirt or two of lime juice. Fill the jar with ice and water. Here’s a link to the Royal Raspberry Flavor Oil from Lorann that I love to use to flavor my sippers. 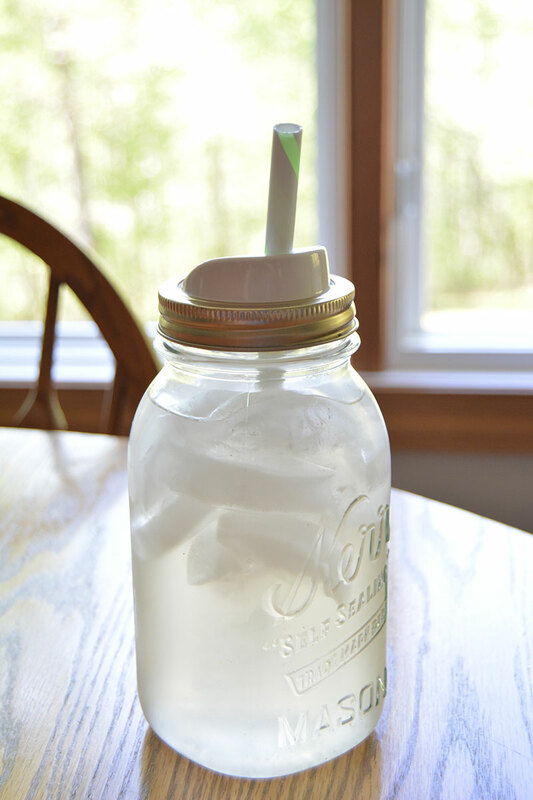 Random side-note: you see that cool jar lid and awesome green straw? That’s from Target. My mom got a set of 4 there for $5. The straws are nice and wide-perfect for thick milkshakes. 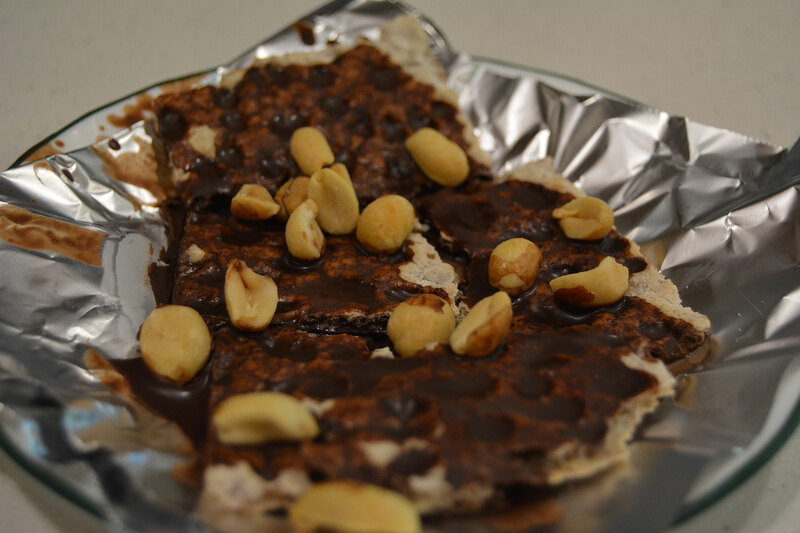 Light Rye Wasa drizzled with melted Skinny Chocolate and topped with some peanuts, then frozen for a few minutes. This is an S. Don’t use more than 2 crackers, keeping in mind your 10 g carb limit. Ideally, add some protein. 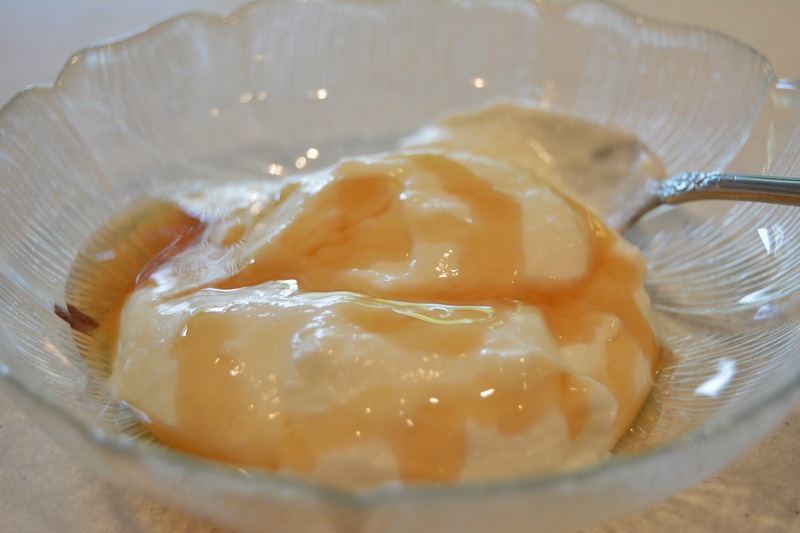 Greek yogurt with sugar-free maple syrup – this is FP, or you could add an apple or other fruit for an E snack. (S) Pizza Pocket! 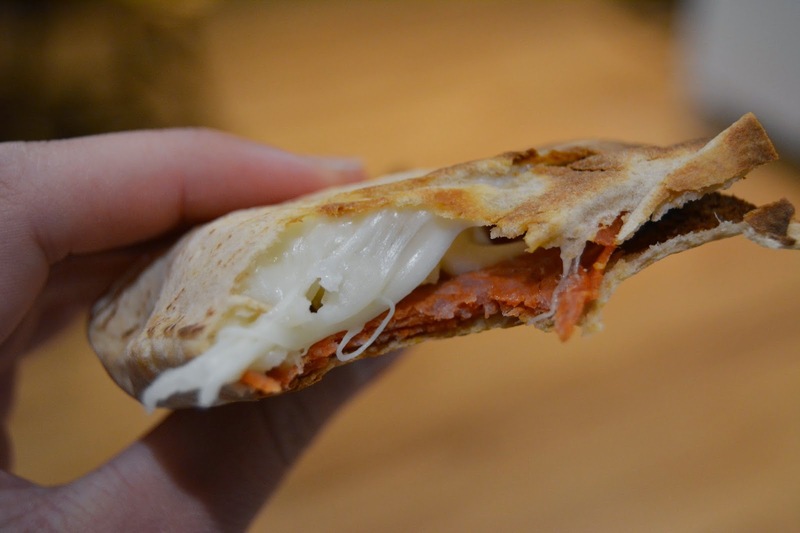 Half a Joseph’s pita (make sure it has no holes so the cheese doesn’t leak out), mozzarella, and turkey pepperoni. Stick it in the toaster. Don’t burn the house down. This looks and tastes like a fancy appetizer. 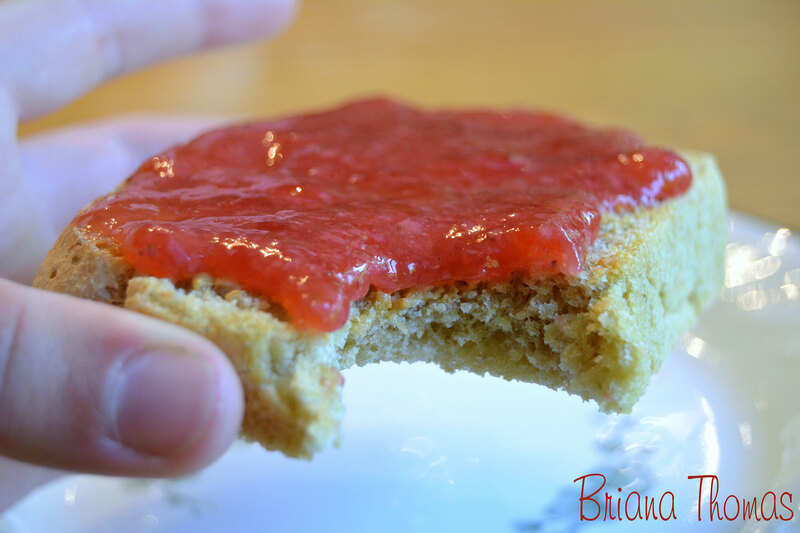 One of my favorite pre-THM snacks was Ritz crackers with cream cheese and jalapeno-raspberry jelly. What you see here tastes very similar. It’s Light Rye Wasa with a Jalapeno Pepper Light Happy Cow cheese wedge (from Aldi) and Slim Belly Jelly (recipe in book) made from a bag of mixed berries. This is a FP. A mug of hot tea with do wonders to help you feel satisfied if you’ve got the munchies, especially late at night. It helps the mood, too. 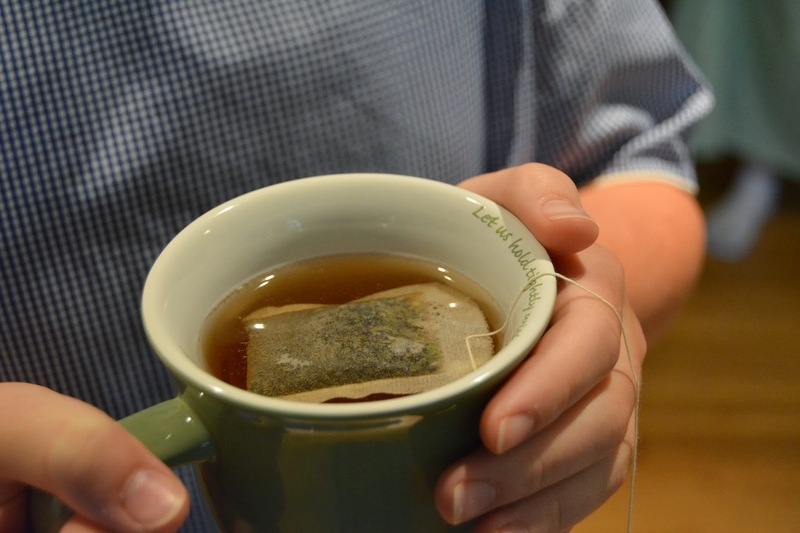 There’s just something comforting about a warm mug of Oolong tea to wrap your hands around. Here’s a link to my favorite Oolong Tea. Yes, ok thanks ! I had it in fright for 2days and it’s still runny. I made that almost instant choc mousse. Have had it in fridge for 2.5 hour. It is not getting thick. Don’t know what I did wrong ?